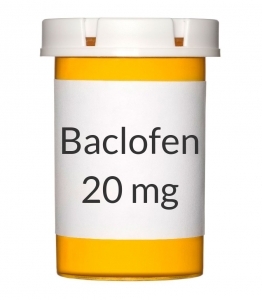 Baclofen or Lioresal (it's brand name), is a medication that treats spasticity in MS patients. This symptom, spasticity, is very common when you have multiple sclerosis. Lioresal is a muscle relaxant which helps to ease spasms. It also helps reduce cramping and loosen tight muscles, which in turn can make it easier for you to move or walk more normally. Lioresal may not help you very much if your arms or legs are already weak. If it eases your spasticity too drastically, it may be harder to walk on a leg that's limp. And using an arm that is limp may be next to impossible. You may be between a rock and a hard place if you have severe spasticity. This can be very painful. If so, you'd probably be better off taking baclofen or some other medicine that treats spasticity. Doctors usually prescribe a lower dose than increase it over a period of days. So you may start out with 5 mg. every 6 - 8 hours. Every 5 days, this may be increased by 5 mg. (10 --->15--->20--->mg. etc.). The idea is to take the lowest dose that works for you, without causing too much fatigue or weakness. What you end up with can be any where between 15 - 160 mg. per day or more of baclofen. Again, this is determined by how well you tolerate the dose as it gets higher. When you taking Lioresal, your doctor will probably do blood tests. This is to make sure your kidneys are still working properly. Yes, we always make it to this section. And what medicine doesn't have side-effects? Even though Lioresal is well tolerated, it may take awhile for your body to get used to it. Usually the following side-effects go away or lessen after a few weeks. If they last for several weeks, you will need to call your doctor. Go to the doctor immediately if you have any of the following symptoms. Some side-effects of this medication may resemble some of the symptoms common to MS. If any symptoms come on suddenly, go to your doctor immediately to make sure. Better safe than sorry is the rule here. The information above refers mainly to the oral form of this medication. There is the alternative option to have an internal pump inserted into your body to deliver this medicine. I would think that if you have extreme spasticity or if you don't tolerate the oral medication very well, this might work better for you. Apparently, the pump causes less of the sever side effects. The medication goes straight to where it's needed. When taken orally, only a small amount actually gets to the area of the spine in order to do what it needs to do. If this sounds like something you'd like to try, talk to your doctor about this possibility. Here's a link to learn a little more about this method of delivery - Intrathecal Baclofen Pump System as explained by the Cleveland Clinic.